Breastfeeding sessions may only last 5-10 minutes and may seem like battles with the baby arching their body back away from the breast. Your breast may act like an uncontrolled sprinkler system and spray out more milk when the baby comes unlatched. The baby’s bowel movements may be “green, watery, or foamy, explosive stools.”– Watch out! How To Prevent Over Production of Breast Milk? Your breast milk production works as a “supply and demand” system that is unique to you and your baby (pretty amazing). The more you breastfeed or pump, the more milk your body will make. Unfortunately, a mother may become engorged due to listening to advice coming from well-meaning friends or family. Remember this, (screen shot it, print it, whatever you have to do) a mother does not need to nurse a certain number of minutes on each breast and a baby does not need to feed from both breasts for a full feeding. Feed your baby until he or she is satisfied. This is unique to your breast milk supply and your baby. 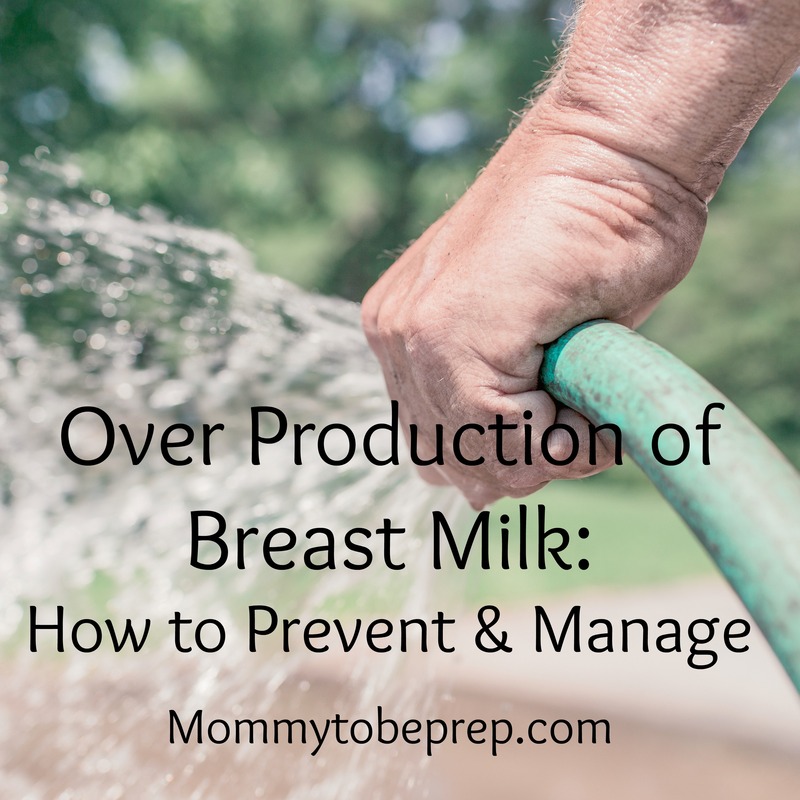 How To Manage Over Production of Breast Milk? For a more in depth description about over production of breast milk visit http://www.llli.org/faq/oversupply.html, they have GREAT breastfeeding resources!